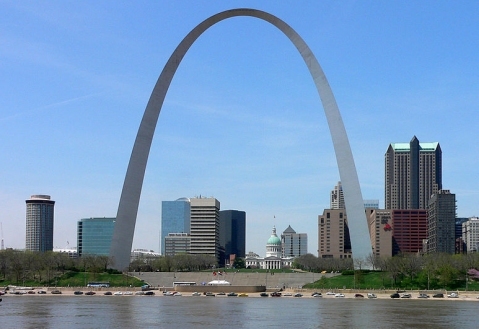 This is the St. Louis Gateway Arch, which indicates you are in the “Show Me State” of Missouri. Friday and Saturday, I spoke at the Southwest Home Education Ministry (SHEM) Convention in Springfield, Missouri. Driving from Indiana to the convention, we passed the famous Gateway Arch, pictured above. This, of course, let us know that we were in the “Show Me State.” I spoke at the SHEM convention last year, and it produced my favorite “talk” of the year – an entire session of nothing but questions from the teens. They didn’t plan a session like that this year, but I still got the chance to answer a lot of questions, both after my talks and at my publisher’s booth. …I would like to thank you for sharing the story of your own family with us. Your talk was the perfect way to end the convention and it left me excited, and with renewed enthusiasm. Thank you. I also gave two talks with Diana Waring. The first was about how arguing promotes learning, and the second was about what to do when your children’s plans for their future are radically different from your plans for their future. Finally, I talked to the teens about how homeschool graduates are doing. 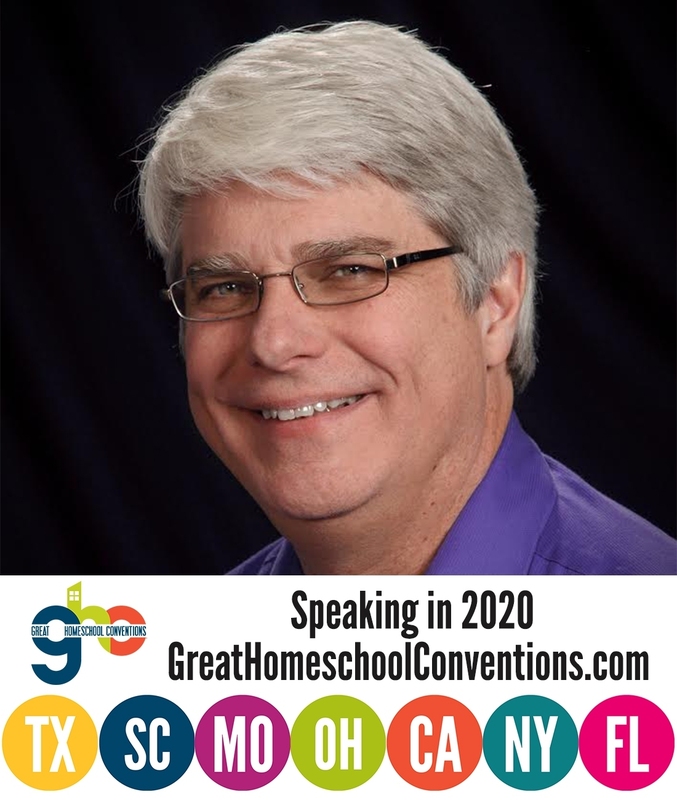 In that talk, I go through some statistics about homeschool graduates and what they are doing now, and then I focus on specific homeschool graduates and how they are truly changing the world. As usual, the most interesting part of the convention for me was answering questions. At my publisher’s booth, for example, I had a long discussion about nuclear fusion with a homeschooled student who had all sorts of great questions. However, I want to focus on a question that occurred after one of the talks I gave with Diana Waring. Is there any way someone could do a talk to the teens about how college isn’t the only option for them once they finish homeschool? As Diana and I shared our thoughts, the mother told us that some teens come back from the conference feeling an enormous amount of pressure to go to college, because that’s what the teen speakers tend to focus on. They seem to think that no one can make a difference in this world except by going to college. 1) If you just love to learn. For some people, their favorite thing to do is learn something new. That kind of person belongs in college. 2) If you have a specific career path in mind that requires a college degree. I told them that if you don’t meet one of those two criteria, you are probably wasting your time and your parents’ money in college. Since most high school graduates do not fit either criterion, most high school graduates should not go directly to college. After a few years of trying to make a living in the real world, some of them will end up meeting criterion #2. At that point, of course, they should go on to college. There is one other thing I said in my teen talk that hopefully demonstrated to the students that college isn’t the only way to make a difference in the world. One of the homeschool graduates I discussed is a young lady named Sydnee Tuckett. As she was finishing up high school (at the ripe old age of 17), she felt the Lord calling her to do missionary work in a third-world orphanage. She did some searching and found just that kind of orphanage in Monrovia, Liberia. She didn’t know anyone there, but she decided it was where the Lord wanted her to be. So she actually convinced her parents to allow her to travel (alone) to Monrovia and work at the orphanage. I saw parents meet their children for the first time today… for this I was tearing up. These parents have waited so long, taken out loans, done so much paper work, have loved so much even when they have never even met the child. I told the students that this young lady was the most impressive of all the homeschool graduates I discussed with them, because she was truly changing lives on a daily basis. She never had the time to go to college, because the Lord wanted her changing lives right away. So if anyone tells you that you must go to college in order to make a difference in this world, bring up Sydnee Tuckett. Bring up Katie Davis. Bring up someone you know who is truly making a difference in this world but never darkened the door of a college classroom. College is an important part of some people’s lives. It is an absurd distraction for others. As parents, one of our jobs is to help our children figure out which it is for them. Wow! Finally some common sense in the discussion of college for homeschool students! I especially like the two criteria you give for going to college (love of learning or career path that requires it). They’ll really help parents and teens sort through the college question. As you said, reason #2 (career with required degree) would be the biggest exception. I can also see how universities can provide a gathering place for the masters, as well as a focused environment. So autodidacticism is not for everyone, but it is an undervalued and overlooked option. Again, my humble opinion, subject to your better mind! Thanks for your comment, Caleb. I think autodidacticism is a legitimate option for the scholar-at-heart. However, I think college offers advantages that autodidacticism cannot offer, such as the chance to interact with professors who are on the cutting edge of their fields as well as a chance to experience and interact with people who have vastly different opinions on the issues that are being studied. On the topic of people teaching themselves, it’s possible but I’d say it’s rare for someone to get as much from it as from formal education. In addition to the two issues Dr. Wile mentions, I think there are a few more. The first is structure: A formal curriculum can ensure that you get a good broad foundation that covers all the bases. It’s very hard for people (especially youngsters) to work out what they don’t know. As a result, they can know all sorts of interesting things, but the context is absolutely shredded. You therefore get a literature student who can tell you all about Mr. Darcy, but doesn’t understand what it meant to be part of the gentry at that time in history. On a related note, there’s an element of discipline that not many young people have captured yet. Even if they know that they need to know something, other things may be more immediately interesting. For example an aspiring physicist may know that they need to practice their integration, but hearing about supernovae or quarks at a higher level is simply more interesting than actually sitting down with some paper and doing two dozen multiple integration problems. I have to respectfully disagree. While college is not for everyone, it is our society’s standard entry gate into many careers – often not even related to the college degree required. It is also gateway to many career promotions. I did not say that it SHOULD be the gateway. It is the gateway. As such, I advocate that for a majority of future wage-earners in, college is a wise choice. Thanks for your comment, Don. I agree that college is the gateway to many careers. However, getting a degree in one field can close the door to careers in other fields. As a result, a student should have a career path in mind before going to college. Without a career path in mind, getting a degree is sort of a shot in the dark. Also, there are many, many solid careers that require no college at all. Even Leaf Fossils Contain Original Remains After Sitting for Supposedly 50 Million Years! Really Generous Bacteria!